One of the world's longest high-speed railways has started operating in China, linking the country's prosperous eastern coast to the less-developed southwest, the state Xinhua news agency has reported. The 2,264-kilometer Shanghai-Kunming rail line runs across the five provinces of Zhejiang, Jiangxi, Hunan, Guizhou and Yunnan. 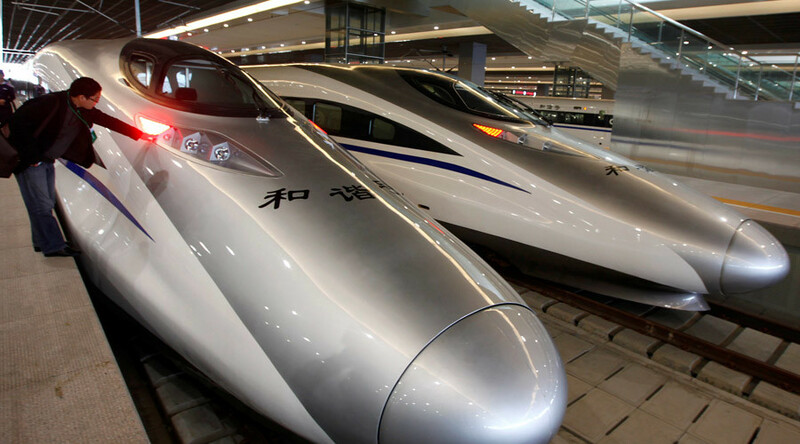 It cuts the travel time from Shanghai to the capital of Southwest China's Yunnan province Kunming from 34 to 11 hours. China is also developing a new generation of trains capable of reaching speeds of 400 kilometers per hour for Russia's Moscow-Kazan high-speed railway. Beijing plans to provide a $6 billion loan for the route which in future may become a part of a $100 billion high-speed railway connecting the two countries.